When I come across an item I want to purchase and take home, I think about how I am going to use the object and also whether the object is versatile. "Will this item WERK IT for me?" 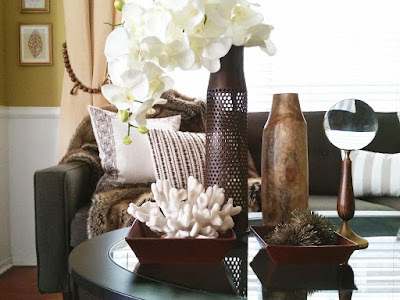 Three very versatile items that I think really WERK IT are throw blankets, large vases, and boxes or trays. 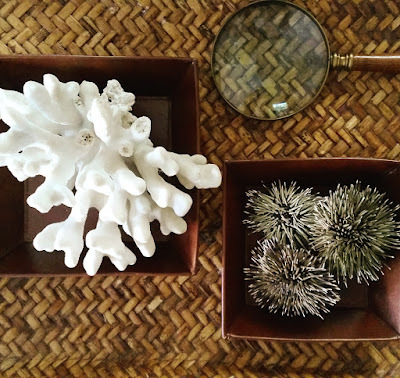 Today I will be writing about these items and showing you how I worked two little leather trays to the bone! 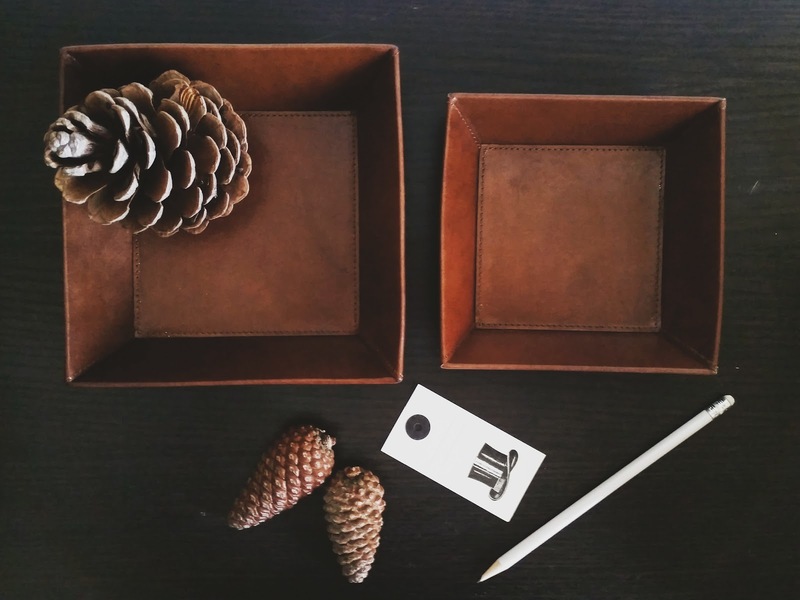 I was browsing through Painted Fox Treasures online store to do a little shopping and I came across these handsome pair of tobacco leather trays. I didn't hesitate to put them in my cart because 1; leather (I love leather) 2; they're super functional 3; they were on sale so obviously that's reason enough to buy ANYTHING! I was also looking for some sort of tray or box to hold my watch and wallet on my nightstand. 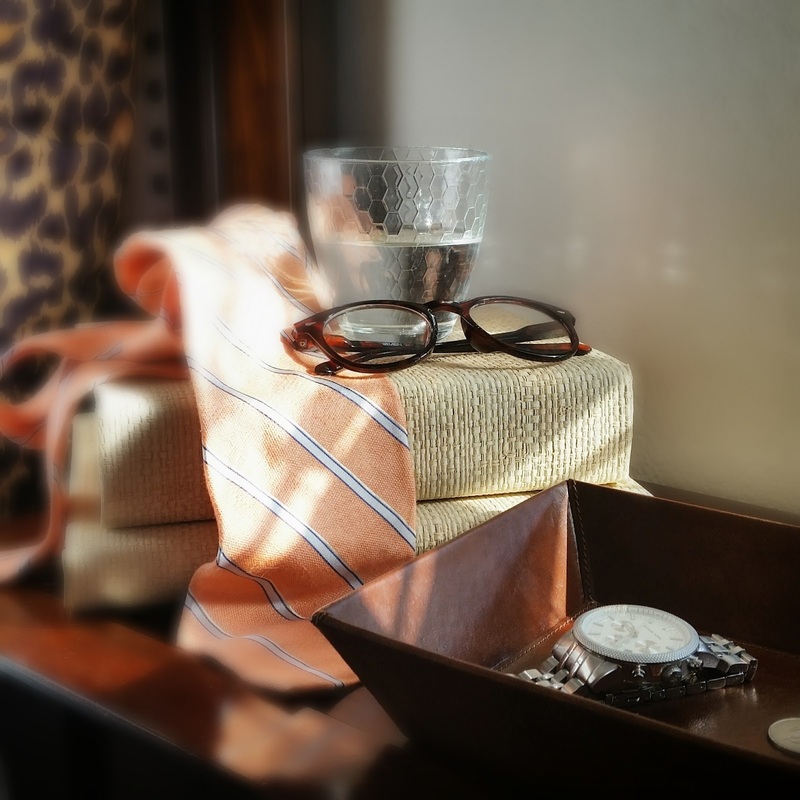 When I received the trays I was happy to see that the quality and color of the trays were great and oh did they have a beautiful, leather scent. As soon as I put them on my nightstand I began to feel more masculine, and refined. Even my beard grew fuller over night! (Just kidding). But seriously, these little trays are super functional; keeping my belongings in one place. Then I started thinking how nice these leather trays would look on my coffee table. So downstairs they went to their new (temporary) home to accompany my favorite vases that have literally been everywhere in my house. I'm sure you all have seen them in my Instagram feed. Here, my little leather buddies became homes to my sea urchins and and coral. I think this display looks super smart with all this amazing texture. Don't you just want to touch everything here! I know my kids do! Also, notice that I have trays... on a tray! I told you that these trays are multi-functional! WERK IT! Oh these trays are not done yet. 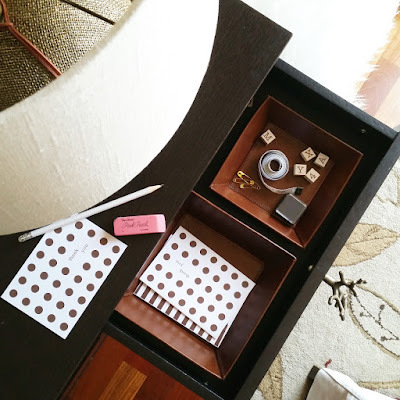 Small trays also work as drawer storage. These fit perfectly in the drawers of my sideboard. Hosting a dinner for two? Use small trays to make a centerpiece like I did! I added dried leaves and battery-operated candles for a warm winter look. I didn't use real candles because I didn't want my beloved trays to get damaged. Do you remember how I mentioned in the beginning of this post that throw blankets are one of my 3 favorite versatile items? Well, here I folded a throw blanket in half and WERKED IT into a table runner. If you want to use a blanket on your dinner table I recommend you wash it afterwards; before putting it back on your couch. Nobody want's to curl up with a spaghetti sauce stained blanket. When your'e out shopping, think about the functionality or flexibility of the items you are purchasing. This also applies when you "shop your home". Shopping your home is when you take inventory of the items you already own, and use them in a different way or in a different room to get a new look. These little trays would make excellent gifts! Please check out Painted Fox Treasures to see all their beautiful treasures. They have many vintage looking pieces and home decor items that really have that one-of-a-kind look to them. Loved it! You are so good! You are so good my friend! Wow! 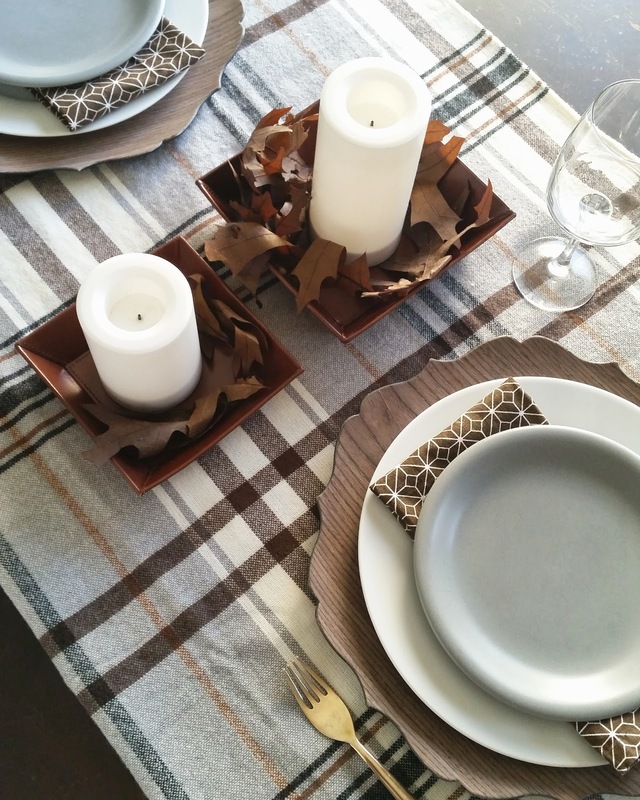 Those boxes are so versatile and you did an amazing job styling them!